Earlier today, we got a tip from a reader that zoning notices had appeared at 212-24 S. 3rd St., the vacant former Salvation Army building. This building has been available for sale for many years, and we actually told you about if over four years ago, when it was available for $5M. With no success at that price point, the owners brought the asking price down to just below $4M a year later, and they seemingly had just as much success selling the property as they did at the higher price. But with zoning notices now appearing on the property, it appears that they've finally found a buyer, even if it's not yet reflected in public record. Or maybe there's a zoning contingency. 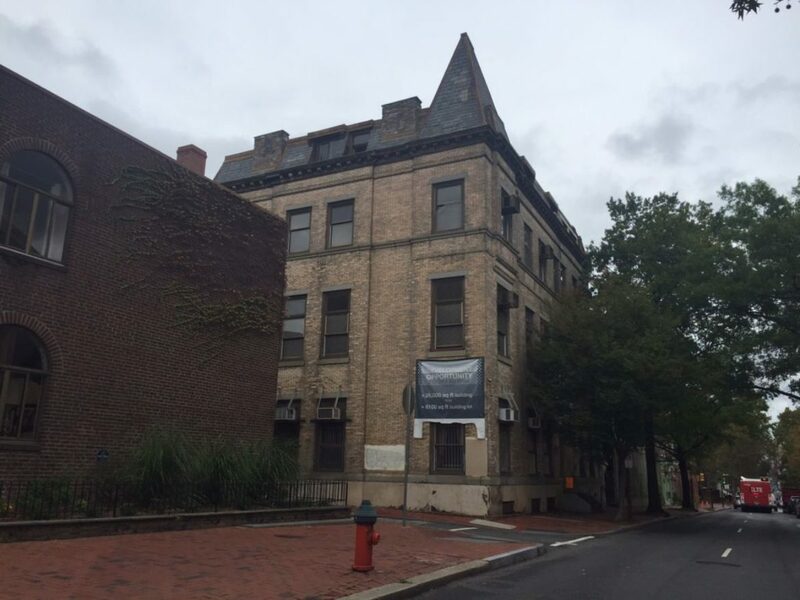 According to the zoning notices, the historic building at the corner of Willings Alley will be preserved and turned into fourteen apartments. To the north, a newer structure will be demolished and replaced with four new homes. Each of the homes will have two-car parking, and we'd have to imagine they'll resemble the mansions we've seen get built nearby in Old City in recent years. It's been odd that this building has sat vacant all these years, and it's encouraging to learn that it will finally get redeveloped. We don't see why the community or the ZBA would resist these plans, though without drawings and some additional details about how the project will be situated on 3rd Street it's hard to say for sure. In the meantime, we'll consider it a win that something will likely happen here after so many years.